Members of the Japanese Peruvian community of Chicago and their friends and family at a Japanese Peruvian Oral History Project event on April 25, 2015. On a warm spring day last year, members of the Japanese Peruvian community filled the pews of the Church of Christ Presbyterian in Chicago not for church services, but instead to see the screening of a film and to hear an update from the Japanese Peruvian Oral History Project. With some speaking Spanish in whispered conversations, the seeming incongruity of their Japanese faces and Spanish accents spoke to the reality of a World War II process that had caused the rendition of roughly 2,264 Japanese Latin Americans from their countries of origin to be imprisoned into multiple Department of Justice internment camps in the U.S. Approximately 1,800 of these internees had originated from Peru, with many settling in Chicago in the early postwar period. Art Shibayama, now living in San Jose, California, but who had spent almost two decades of the postwar period in Chicago, exemplifies this experience, and the difficulties faced by many who ended up in Chicago from Peru. Born in Lima, Peru in 1930, Art was only thirteen years old when he, his parents, and siblings were forcibly brought to the US in 1943. At the time that his father was caught by Peruvian authorities, his grandparents had already been rendered by Peruvian authorities to the U.S. in early 1942. In the process of being sent to the U.S., family separation and uncertainty typified the feelings of many Japanese Peruvians. The U.S. government, seeking to use Japanese Latin Americans for prisoner exchanges with Japan, pressured Latin American countries to cooperate with the rendition program. Racism, anti-immigrant hysteria, political opportunism, and unfounded fears that the Japanese would form a “fifth column” informed Peruvian government collusion. Art’s grandparents were caught up in these negotiations, and would eventually be repatriated to Fukuoka. For some Japanese Latin Americans, the internment process would extend past the formal end of the war, due to the complex legal status they received upon being brought to the U.S. Passports had been seized, and they had been classified as enemy aliens that lacked a proper entry procedure into the U.S. This meant that upon war’s end, the U.S. government would consider them as illegal aliens, who would have to fight deportation hearings. The particularity of their legal status meant that many Japanese Latin Americans, as in the case of Art’s family, had to continue residing at an internment camp in Crystal City, Texas. Options in the postwar period were scarce, and were complicated by the fact that internees needed a guarantor in order to be “paroled” from the camps. For many Japanese Peruvians, Seabrook Farms in New Jersey, one of the largest frozen food and packing plants in the country at the time, served as an economic guarantor that provided an opportunity to leave the camps, though conditions were often harsh and demanding. Seeking better options, many of the Japanese Peruvians would eventually try to secure jobs and security elsewhere, and one of the more promising locations was Chicago. Kichō Yoshiya would be one of the first Japanese Peruvians to leave for Chicago in December 1947, and in January 1948 he was joined by Kunio Takeshita, Saburō Ushida, and Shūhei Katsurō. These early migrants would then help to secure jobs for others, leading to many more families moving to Chicago. Art would move to Chicago in 1950, joining the roughly 20,000 Japanese Americans whose ranks had swollen in the immediate postwar period. His father started working at a dry cleaner business, and later managed apartment buildings. Art started working at a carbon paper company in its warehouse, and reached the manager level before being shocked by a letter he received in the mail. Art would eventually be sent to Europe, and serve as a typist for a medical branch of the military. Due to the need to get clearance to handle secret documents, the warrant officer on duty tried to resolve Art’s issues with the immigration office but was unable to do so. Later while in Chicago, changes in the immigration laws enabled him to get his green card, by a maneuver that involved him temporarily leaving the country in order to get an official legal entry status. In Chicago Art would find work as an auto mechanic at the Kawell-Walker Ford dealership on Chicago Avenue, a shop that was sympathetic to Nisei workers, hiring Nisei as eight of the ten mechanics working there. Later, he worked at the Hoskin Chevrolet dealership on Irving Park and Damen, which he stayed with in their move to Elk Grove Village in 1968. Two years later, Art would eventually move to California, where he remains today, though his two brothers continue to live in Chicago. On January 27, 1968 the Japanese Peruvian community in Chicago reached a new level of organization, with the founding of the Chicago Peru-kai in Wilson Village by Kuniyoshi Matsuda, Kunio Takeshita, and Seiichi Higashide. Elections for leadership positions were to follow roughly one month later. According to Seiichi Higashide, the goal of the Peru-kai was to transmit the story of wartime internment to their kids and grandkids, and was borne out of a wish to build linkages for the next generation. Though this organization continued to exist for several years it would eventually dissolve, though loose networks continue to remain. Meanwhile the Japanese Peruvian community has grown to welcome newer migrants who came to the U.S. in the postwar period. Members of the Japanese Latin American community were part of the groundswell of community activists that pushed for redress from the U.S. government and which became particularly active in the 1970s and early 1980s. Community members such as C. Harvey Gardiner, Seiichi Higashide, Eigo Kudo, Elsa Kudo, and George Fujii would testify on behalf of Japanese Peruvian redress at the September 22, 1981 Commission on Wartime Relocation and Internment of Civilians hearings in Chicago. The 1988 Civil Liberties Act, which issued a formal apology and $20,000 in reparations to living Japanese American former internees, raised hopes that the U.S. government would at last acknowledge the wrongs of the wartime period. Japanese Latin American expectations were dashed, however, when they would be excluded from the settlement on the basis of their “illegal alien” status at the time of internment. Lobbying efforts in 1993 and 1994 to Washington DC seeking inclusion of Japanese Latin Americans in the redress bill would eventually come to naught, and activists like Grace Shimizu, daughter of a Japanese Peruvian former internee, would help spearhead the Campaign for Justice, formed in 1996 to obtain redress and an apology for Japanese Latin Americans. The Mochizuki vs U.S. lawsuit that was at the center of the Japanese Latin Americans’ campaign resulted in a controversial out of court settlement which included an apology and only $5,000 in restitution to living Japanese Latin American former internees. And yet for some Japanese Latin Americans like Art, the inequity in this redress settlement was particularly galling. Stung by the fact that the redress provided to Japanese Latin Americans diminished their suffering in comparison with the Japanese American community, Art, his two brothers, and fourteen other Japanese Latin Americans filed suit in the U.S. District Court seeking equality in reparations, though the case was dismissed in 2002. Art’s lawyers have continued to pursue legal action with a petition to the Inter-American Commission on Human Rights to hold the U.S. government accountable for failing to provide redress for war crimes and for crimes against humanity perpetuated against their families, though a decision on this case has remained pending for the last thirteen years. Even beyond the goal of achieving equitable redress for Japanese Latin Americans, Art continues to speak out about the injustice of the internment process and the need to keep the lessons of this history alive. In referring to the wartime internment of Japanese Latin Americans, Art‘s message for future generations remains clear. “Time is of the essence to secure proper acknowledgment and redress from the US government and to document and preserve the family stories of the Japanese Latin Americans and the history of this wartime experience. The redress struggle continues as we press the Inter-American Commission on Human Rights (IACHR) to give expedited treatment to the Shibayama petition due to the age and health of the petitioners. We want the IACHR to make a positive ruling in favor of the Shibayama brothers by 2017. The Uncovering Hidden History: The WWII Internment of JLAs Digital Museum Project will showcase oral histories, photos, documents, and research to make the Japanese Latin American wartime and redress experience accessible online to anyone around the world in three languages (English, Spanish, and Japanese). The interactive digital museum will be complemented by a nationwide discussion program to foster dialogue and draw lessons from this past to better meet challenges to our civil and human rights in the present. 藤井 寮一 (Fujii, Ryōichi). 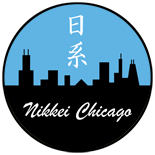 シカゴ日系人史 (Shikago Nikkeijin Shi – A History of Chicago Nikkeijin). シカゴ (Chicago): シカゴ日系人会 (Japanese American Association of Chicago), 1968. 伊藤 一男 (Itō, Kazuo). シカゴ日系百年史 (Shikago Nikkei Hyakunenshi – A Hundred Year History of Chicago Nikkeijin). 東京 (Tōkyō) : シカゴ日系人会 (Japanese American Association of Chicago); 日本発売所 PMC出版株式会社 (Nihon Hatsubaijo PMC Shuppan Kabushiki Gaisha), 1986. The Shizuko Sue Lofton Papers at the Japanese American Service Committee (JASC) in Chicago, Illinois. Notes: Names are listed in the U.S. style, with first names preceding family names. This story was also published in print at the North American Post (Hokubei Höchi) on July 29, 2016. A link to a pdf version of the print version is here. This entry was posted on July 31, 2016 by R Y in Community, Family, Issei, Japanese Latin American, Japanese Peruvian, Nisei, Politics, Redress, Resettlers, Uncategorized, Veterans, World War II and tagged 1988 Civil Liberties Act, Art Shibayama, C. Harvey Gardiner, Campaign for Justice, Chicago, Church of Christ Presbyterian, Commission on Wartime Relocation and Internment of Civilians, Eigo Kudo, Elsa Kudo, George Fujii, History, Hoskin Chevrolet, Incarceration, Inter-American Commission on Human Rights, Japanese American, Japanese Latin American, Japanese Peruvian, Japanese Peruvian Oral History Project, Kawell-Walker Ford, Kichō Yoshiya, Kunio Takeshita, Kuniyoshi Matsuda, Mochizuki vs US, Nikkei, Peru-kai, Resettlers, Saburō Ushida, Seabrook Farms, Seiichi Higashide, Shūhei Katsurō, Uncovering Hidden History: The WWII Internment of JLAs Digital Museum Project, Veteran, World War II.